Posted on November 8, 2015 by Appropos / This entry was posted in Informative. Bookmark the permalink. 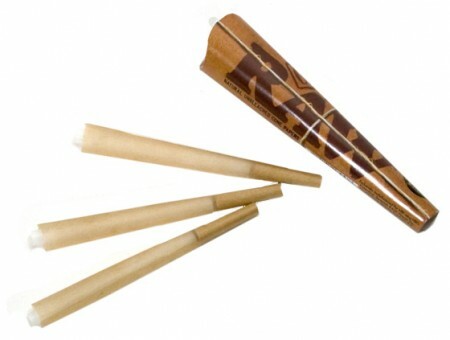 Serving as the inspiration in a grand design, Marfil Arroz rolling papers were originally produced and manufactured in Alcoy, Spain, the paper making capital of Europe. The company eventually disbanded sometime around the 80’s due to legalities. Josh Kesselman remembers Marfilo Arroz fondly. Mostly because his father smoked them. His father would preform a magic trick in which he would light a single rolling paper and toss it into the air. The entire paper would instantly disappear in a flash of flames, reportedly without any trace of ash. This stuck with him through all his life. 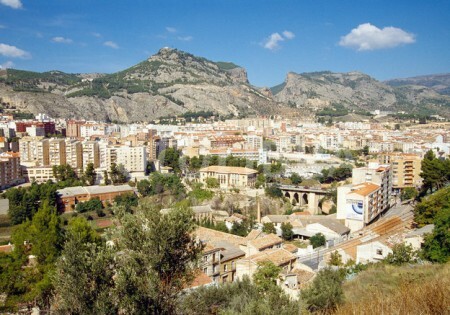 Years after, in the early 1990’s Josh Kesselman met a man from Alcoy named Emilo at a trade show and shared stories of his father and Marfilo Arroz rolling papers. To Josh’s astonishment, Emilio actually made and produced Marfilo Arroz rolling papers. He was still at the time making rolling papers in an old factory on machines that had long been abandoned in the manufacturing process. Both men were extremely excited to work with one another. Josh then worked for several years in Alcoy, in the old factory, and made it his mission to perfect his papers, he experimented with many different techniques. He loathed side-burns along the length of a cigarette which usually happened with traditional rolling papers, causing an uneven burn and a less enjoyable smoke. 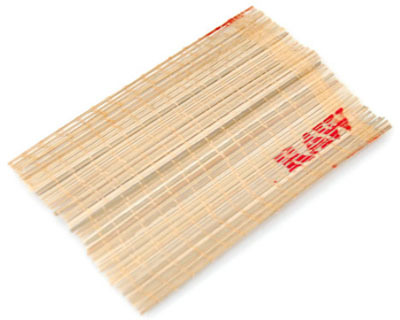 Josh wanted his rolling papers to burn smoothly, evenly, and perfectly. Eventually after years of careful experimenting with his papers, he found that if he watermarked his paper in a certain way, and almost tricked the flame to go left and go right and go left again, that either way, it would always come back around and re-join itself. 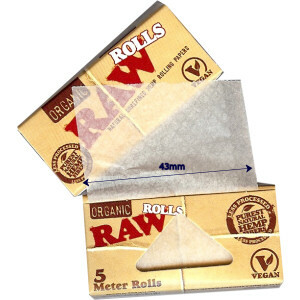 RAW Rolling Papers are a pure, less processed rolling paper that is light brown in color because it is blended with unbleached fibers and are extremely thin, almost transparent. RAW Papers are a standalone among the competition being that they’re 100% chlorine free, gluten free, and vegan friendly. Each paper is watermarked with their patented crisscross, which helps prevent runs and helps maintain a smooth even-burn. The papers have a natural gum on them, needing a small application of moisture to get them to adhere. RAW gum is a blend of the sugar and acacia gum powder with hemp, which creates less ash and a smoother flavor with a slower burn. 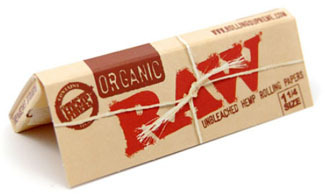 While RAW Classic already provides an exceptionally clean smoking experience it can get ‘cleaner’ with RAW Organic, which is made from organically grown chlorine free pure hemp and is processed in an eco-friendly manner which results in an slower, cleaner burn. Aside from just rolling papers, RAW has completely revolutionized smoking products in their entirety by releasing products such as cones, pre-rolled crutch filters, rolling trays, rolling machines, rolling mats, grinders, and storage containers. 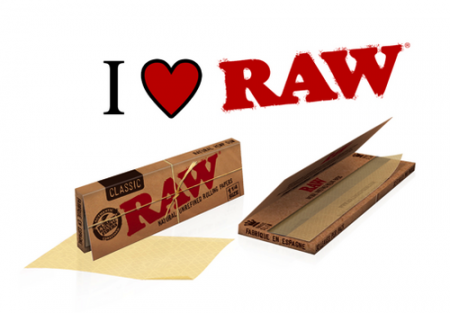 RAW puts so much effort behind their papers alone, and this high-quality standard is also achieved in it’s other products, truly making good on their mission statement to deliver the cleanest, smoothest, most enjoyable smoking experience. 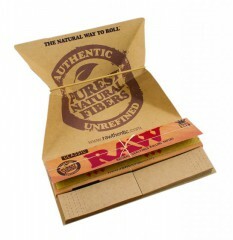 RAW has partnered with other well-known entities to further their progress in delivering the best smoking experience. RAW has collaborations with multi-platinum, recording artist Wiz Khalifa in a line of rolling papers and accessories, including Khalifa branded papers, cones, and rolling trays, featuring Khalifa’s signature RAW packaging. RAW has been a longtime supporter of Khalifa throughout his meteoric rise to stardom and the artist has returned the admiration, rapping about the smoking lifestyle and RAW papers in his recordings. A relationship that began backstage, based on mutual respect for each other’s work, evolved into a groundbreaking partnership as Khalifa and RAW realized through shared goals and visions they could change the face of the industry. Combining two dynamic forces that respect and support the smoking community will mean unprecedented value, quality, and innovation. “We are truly taking things to the next level of the smoking game and we’re thrilled to collaborate with Wiz as he is a key influencer in this industry,” says RAW’s creator, Josh Kesselman. RAW has also partnered with Santa Cruz Shredders, a longtime grinder manufacturer holding brand-recognition much like RAW papers to create a custom RAW x Santa Cruz Shredder grinder. Santa Cruz Shredder is an advanced engineering company specializing in products proudly made in the USA. They proudly innovate, design and manufacture high-precision, remarkable quality and smooth functioning grinders. The Santa Cruz Shredder tooth design is the most advanced in the industry featuring the only serrated tooth design in the marketplace. Furnished hundreds of Saywer Filters for emergency water after Super Typhoon Haiyan. Created and funded a Connect Africa permaculture design course that taught 22 community leaders how to capture water from the rainy season and harvest crops all year long. Sponsored and established Sustainable Living Groups (SLGs, formerly known as Self Help Groups or SHGs) which directly build successful communities in the poorest of areas in Africa and eradicate usury.